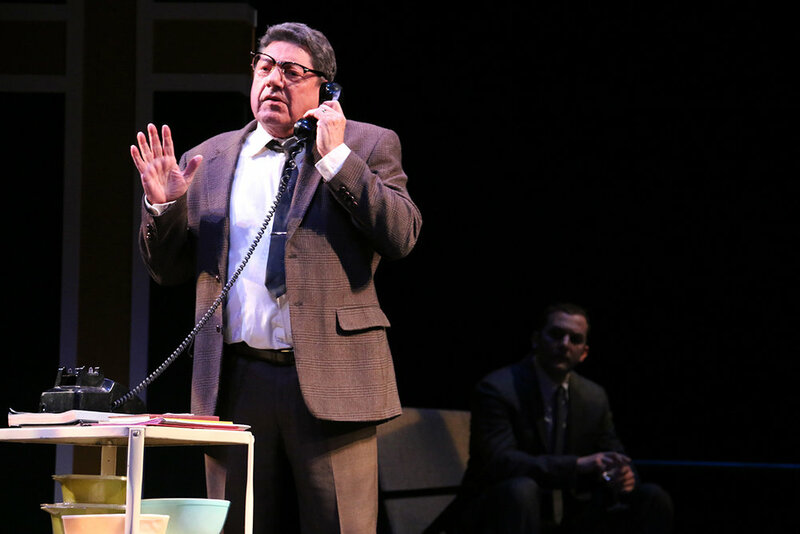 One of the greatest sports legends of all time, Hall of Fame football coach, Vince Lombardi, is the basis for this exhilarating new play. One of the most inspirational personalities of our time, Lombardi’s ambition and passions are on display as well as his ability to influence people to achieve what they never thought possible. 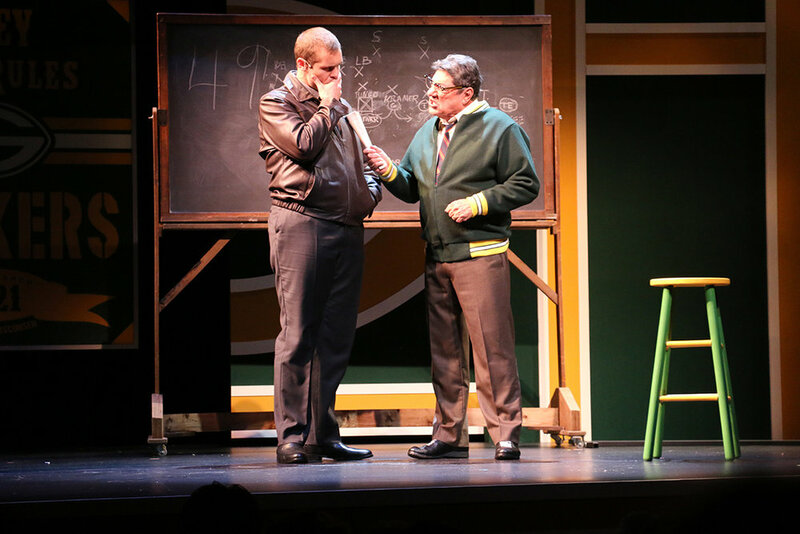 Lombardi the play, which ran on Broadway in 2010-2011, focuses on one week during the 1965 football season when magazine reporter Michael McCormick goes to Green Bay, Wisconsin, to interview Vince Lombardi for a piece he’s writing. 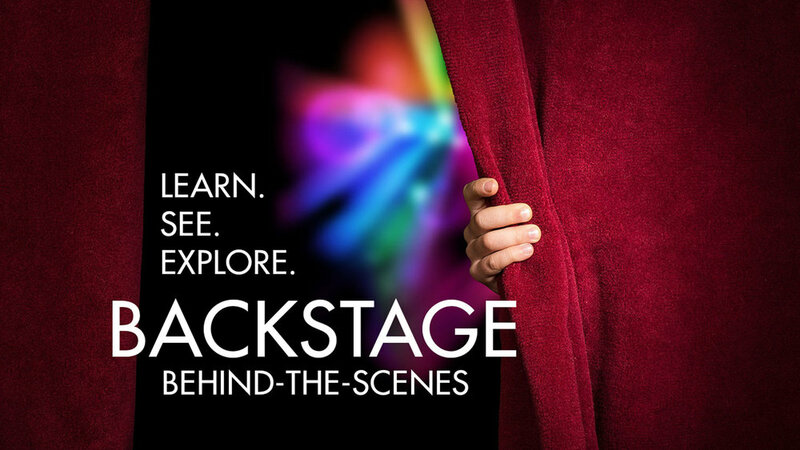 See the LOMBARDI and other set designs, costumes, props and more, up close with a storytelling guided tour and classes. Denise Cormier* (Marie Lombardi) is happy to be making her Riverside Theatre debut. Denise last appeared in Palm Beach Dramaworks’ The Little Foxes. Other credits include Broadway 1st National Tour The Graduate, Asolo Repertory Theatre, Repertory Theatre of St. Louis, Cleveland Play House, Virginia Stage Company, Actors Theatre of Louisville, Indiana Repertory Theatre, Pioneer Theatre Company, Magic Theatre, and seasons at Hudson Valley Shakespeare Festival and Theatre at Monmouth. TV and Film: “The Affair,” “Law & Order: CI,” “Guiding Light,” “The Real Stephen Blatt,” and The Big Gay Musical. MFA: Shakespeare Theatre Company’s Academy for Classical Acting. 2017 Lunt-Fontanne Fellow. Jack Fellows* (Paul Hornung) is very pleased to be joining Riverside for the first time. He has appeared Off-Broadway in the Abingdon's production of STET and across these United States performing in Romeo and Juliet with Wolf Bane, One Man Two Guvnor's at the St. Louis Rep, Bus Stop at Baltimore Centerstage, Vanya, Sonia Masha & Spike at the White Heron, and Last Days of Judas Iscariot at the Connecticut Rep. As a playwright he produced and directed his work, The Last Poet on Mars at the Wild Project theatre with his company The Brooklyn Actor's Troupe. Terrell Wheeler* (Dave Robinson) is thrilled to be a part of the Riverside Theatre production of Lombardi. Terrell is a Rutgers University graduate (Mason Gross School of the Arts) and is based in NY. His credits include: Fly (New Victory Theatre/Pasadena Playhouse), Carnival (Luna Stage), O'Neill Unexpected: A night of short plays (Metropolitan Playhouse), Last Saint on Sugar Hill (National Black Theatre). Thank you for allowing me to be a part of the many stories that are told in this theater space. Richard Zavaglia* (Vince Lombardi) A veteran actor of Stage and Screen. 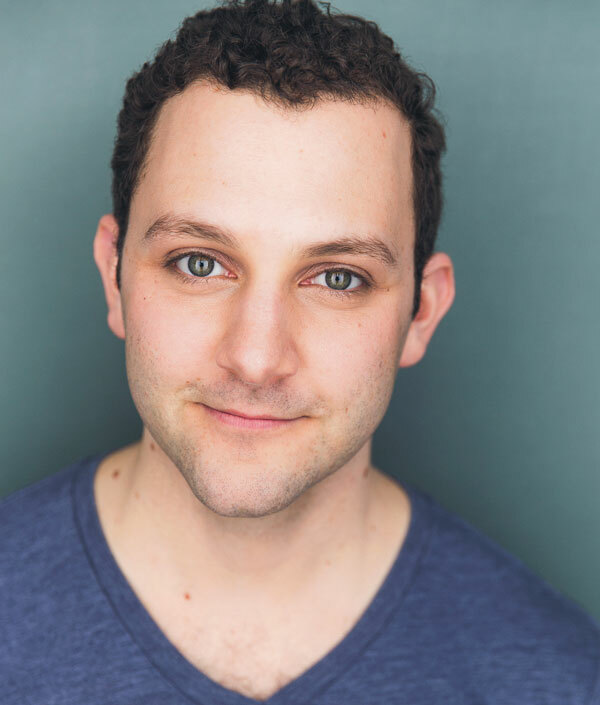 Mr. Zavaglia is proud and pleased to be returning to Riverside Theatre after appearing in the Hit Mob Comedy Breaking Legs in the 2008-2009 Season. 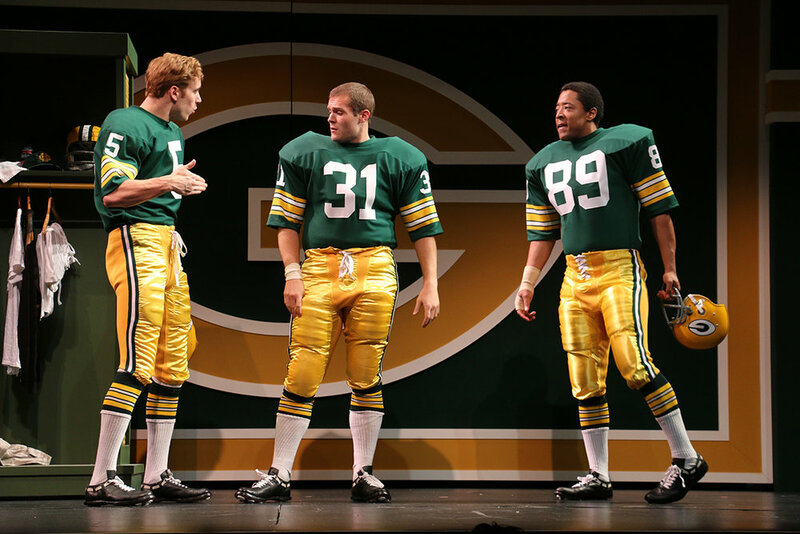 Playing Vince Lombardi is quote: "The Cherry on the Sundae to a long 45-year Career in Theatre." Mr. Zavaglia has performed on Broadway in Neil Simon's Chapter Two and Albert Innurato's Passione with Jerry Stiller and directed by Frank Langella. His most recent starring role was in Dan Lauria's play Dinner With The Boys, which had a successful Off-Broadway run at the Acorn Theatre. Some other Stage credits: A Few Good Men Starring Lou Diamond Phillips at Casa Manana Theatre in Ft. Worth, TX; Breaking Legs at Pasadena Playhouse in CA and Riverside Theatre; The Guardsmen with Lucie Arnaz at Paper Mill Playhouse in Millburn, NJ; Others Peoples Money at La Mirida Theatre in CA; A Winter’s Tale (King Leontes) at Dallas Shakespeare Festival in TX. Some notable Film credits: Going In Style with Michael Caine, Alan Arkin, Morgan Freeman and Ann Margaret; Donnie Brasco with Al Pacino and Johnny Depp; Bird directed by Clint Eastwood. Some Episodic TV shows: “PRISON BREAK,” “NYPD BLUE,” “BECKER.” A full list of credits can be viewed on IMDB.COM and IBDB.COM. Mr Zavaglia is a proud graduate of The American Academy Of Dramatic Arts in NYC. www.richardzavaglia.com.